On this upcoming Pearl Harbor Day, join Rabbi Ruth Gelfarb at Congregation Bonai Shalom as she shares moving and amusing stories of her former career as a US Navy chaplain. On this Pearl Harbor Day, join Rabbi Ruth Gelfarb as she shares moving and amusing stories of her former career as a US Navy chaplain. 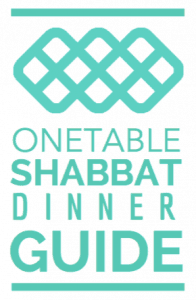 Rabbi Gelfarb, now in the Boulder community, has also worked as the Senior Jewish Educator at University of Chicago Hillel, Director of Service at the American Jewish World Service, and in other positions in the non-profit/philanthropy sectors. Rabbi Gelfarb is a graduate of Harvard College, Hebrew Union College-Jewish Institute of Religion and the Pardes Institute of Jewish Studies. Services begin at 6:00 pm and dinner is at 7:00 pm. The lecture begins at 8:00 pm, followed by questions/discussion. Reservations required for dinner and lecture: $15/adult, $12/child (under 12 years old), $50 max per family. If you would like wine with your dinner, it is BYOB (Kosher only). RSVP by Wednesday, December 5 to office@bonaishalom.org. First Friday on January 4th, 2013 – join Jonathan Singer and other Jewish elected officials reflecting on how their Judaism influences their politics and their politics influences their Judaism!